Entries from 8.30AM to 9.30 AM Saturday Morning at Horse & Jockey Hotel. IRISH PHOTOGRAPHIC FEDERATION’S 36th NATIONAL AUDIO VISUAL CHAMPIONSHIPS & 1st OPEN PHOTO HARMONY COMPETITION. 20th & 21st October, 2018 in Aras Chronain Ionad Cultuir, Clondalkin, Dublin 22. Judges – Bev Tyrer & Alan Tyrer, CPAGB/AV, ARPS. It’s nearly here! Final preparations are being made. We look forward to seeing as many of you as possible on either day or better still – both days! We have a full programme. There are entries in all categories in the National Championships – Novice, Intermediate, Club & Advanced representing several clubs/societies. All national entries will be commented on. In the Open Photo Harmony competition, there are entries from 3 continents – we’ll have to work on the rest – America, Asia & Antarctica! So, a great chance to see the different styles in this medium of audio visual. There will be also assessments for distinctions in Audio Visual and an opportunity to see some of the judges’ work. Awards presentations 17.30 p.m. Close of AV2018. This is an approximate timetable. Should you arrive during a sequence, you will be admitted at the end of the sequence. Admission charges: For non – competitors, there will be a charge of €12.00 for the day or €20.00 for the weekend. There will also be a raffle! Lunch: Soup & Sandwiches at €5.00 will be available each day. Dinner: The Gala Dinner on Saturday night will be in the Green Isle Hotel at 8 p.m. This is a great way to socialise and mingle with the judges, fellow competitors and other AV friends, from Ireland, north and south and England. Menu will be available and payment will be made prior to 13.30 on that morning. 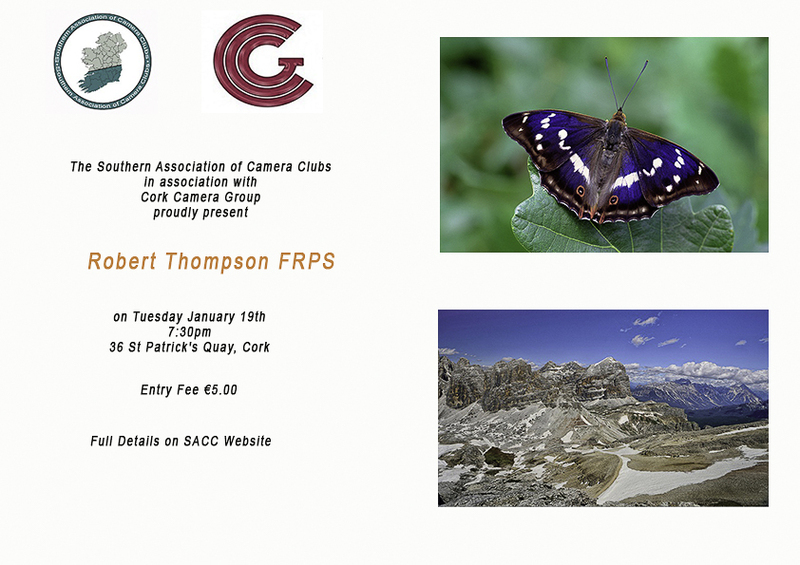 Exhibition: A photographic exhibition by members of Palmerstown Camera Club will also be on display. Please tell your friends and encourage them to attend! Cheques should be made payable to SACC and sent to our Treasurer Tadhg Hurley at his address below. (Tadhg.Hurley48@gmail.com ) who will send you a link, which you can use to pay your club entry fee through your PayPal account. Tadhg Hurley, Treasurer SACC, 48 Castleowen, Blarney, Co Cork. Please include club name, club website, contact name, contact number and contact email address with all correspondence. Entry forms (the details of the images being submitted – titles and authors) need to be with us by Sunday April 1st. The entry form for 2018 can be downloaded via this link. Please complete, save and email a copy to interclub@sacc.ie by Sunday April 1st 2018. Following the IPF Council meeting of July 1st Dominic Reddin FIPF from Mountmellick Camera Club was elected as the new IPF President. Congratulations Dominic from all your SACC colleagues and best wishes for your term as President. 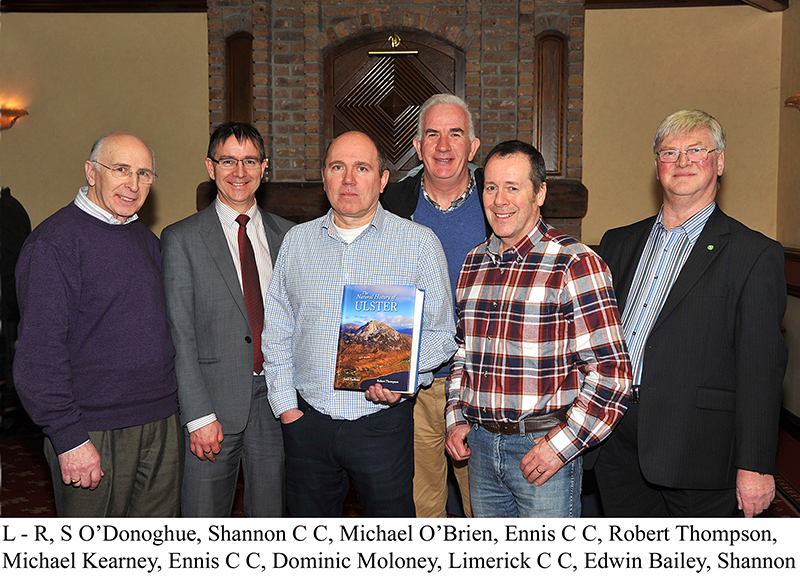 Replacing Dominic as IPF National Secretary is Joe Doyle from Malahide Camera Club. Joe has served for the past few years as National Shield Coordinator. Best of luck in your new role Joe! The Shield this year will be coordinated by Joe with assistance from Bill Power and Patrick Kavanagh. 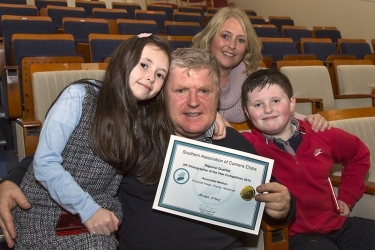 Patrick, from Palmerstown Camera Club, is the newest council member, following his election at the AGM in May. This is a quick reminder that the SACC Creative Photographic Competition, which is being hosted by Dungarvan Camera Club, takes place in the Park Hotel, Dungarvan on Sunday 23rd Oct. The proposed event time table is given below. As you’d expect, the results and awards may be earlier or later than the scheduled time, depending on the number of entries. Our thanks to all those who have already entered, we appreciate your support. For those still intending to enter, please note that the closing date and time is midnight on Friday next (Oct 21st). Great lecture series from Robert Thompson! 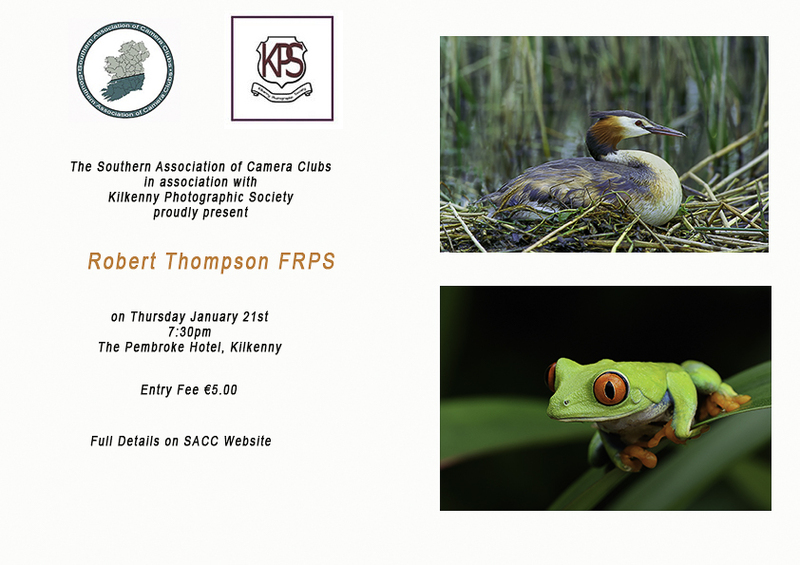 The January calendar highlight for three SACC clubs had to be the visit and presentation by internationally renowned nature photographer Robert Thompson FRPS, FIPF. 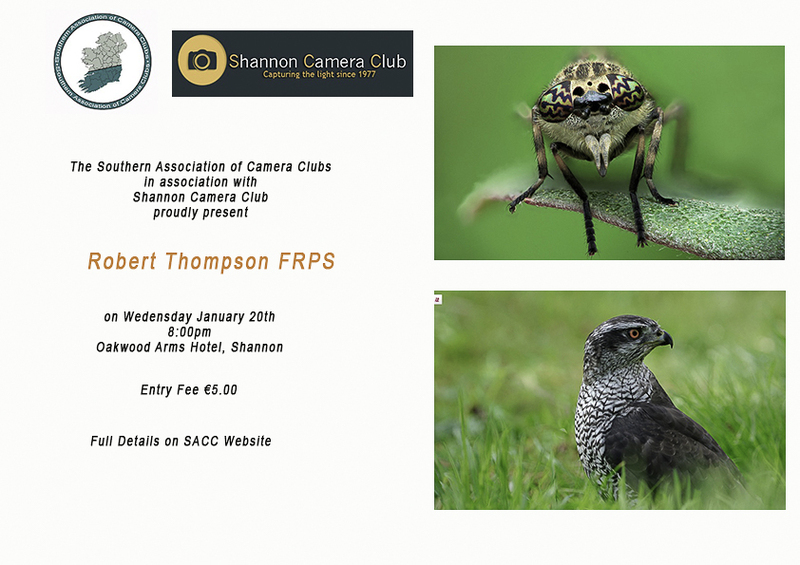 The SACC, on behalf of Cork Camera Group, Shannon Camera Club and Kilkenny Photographic Society invited Robert to make a series of presentations to the three clubs on Jan 19th, 20th, and 21st respectively. 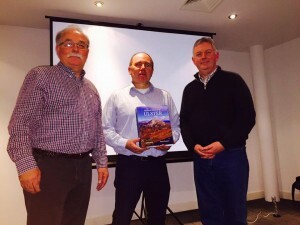 From member feedback and social media posts the three presentations were a resounding success with individual members commenting that Robert’s presentations were among the best they had attended. Robert’s knowledge, professionalism, and attention to details were a revelation. He generously shared his knowledge and experience of nature photography and left members with much to think about and to practice in their photography. 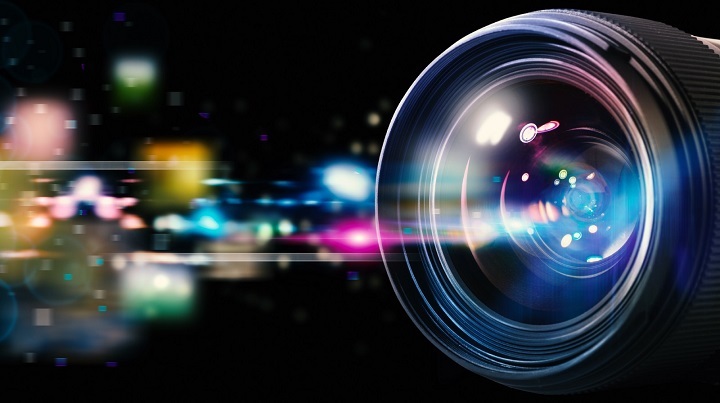 Know your camera equipment and be instinctive about the menu system so that you can quickly access and set the camera settings required for a given situation. Plan your photo shoots and pre-visualise the image(s) you wish to capture. This not only helps with a positive outcome but also assists in developing your creativity. As much as is possible, pre-select the camera settings required for the shoot. In some cases frequently used settings can be pre-programmed into “memory” buttons on your camera – learn how to do this and set them up. Research and study your subjects and their environment before heading out into the field. When in the field also take the time to study the environment before taking images and think about different angles and an uncluttered background. Avoid being a seasonal photographer and if your particular genre of photography is seasonal, then practice an alternative, but possibly related, genre in the off season to keep your camera and creative skills honed. 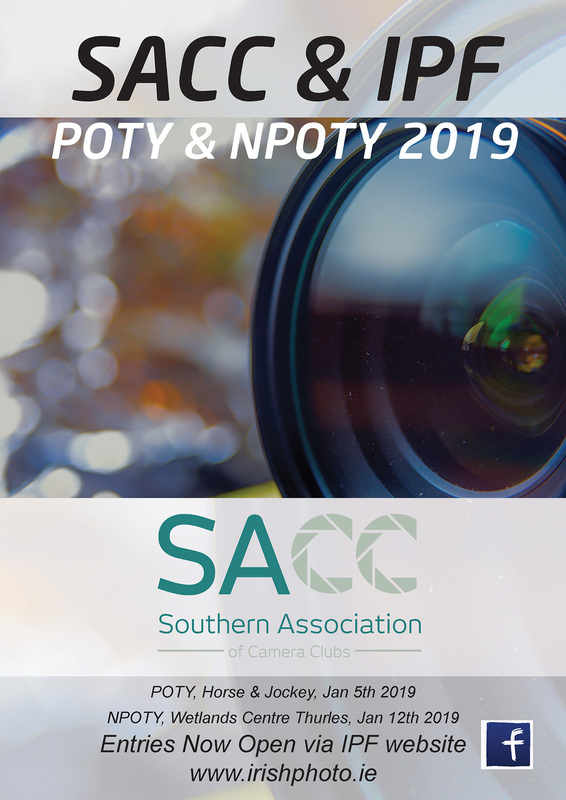 The SACC Committee and the three camera clubs would like to extend their warm thanks to Robert for his excellent presentations. At the end of each presentation Robert generously raffled a number of his highly successful books. Our sincere thanks to Robert for this series of fantastic presentations. Thanks must also be extended to the SACC committee and the representatives from the three clubs for their coordination and organisation of the three extremely successful events. We are delighted to announce that Robert Thompson FRPS will be conducting a lecture tour in the SACC region this January. There will be a €5 cover charge for each talk. Robert will be speaking across a range of photography topics including nature, landscape and macro, and discussing his approach to these genre. We are very excited to have a photographer of Robert’s reputation visiting us and we encourage SACC members to attend one of the talks. Tuesday, January 19th at 7:30 pm in 36 St Patrick’s Quay, Cork. Wednesday, January 20th at 7:30 pm in Oakwood Arms Hotel, Shannon. 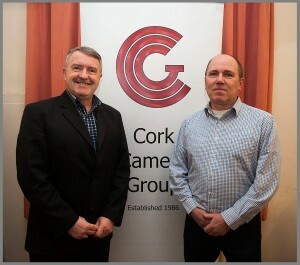 Thursday, January 21st at 7:30 pm in The Pembroke Hotel, Kilkenny. Robert is a nature photographer, author and educator. He is the author of a number of books on photographic technique and it is hoped to have some of his books available to raffle at each of the above venues. Robert’s interest in natural history began during his childhood explorations of a large parkland estate where he grew up. He is a highly accomplished freelance natural history photographer and multi-author with a number of well-known publications to his credit on natural history and nature photography. He has also been a major contributor to many other natural history publications in Britain and Europe. He is widely acknowledged in the UK as a specialist in close-up and macro photography and is a Fellow of the Royal Photographic Society and the Irish Photographic Federation. butterflies and moths for which he has specialist knowledge. His work is widely published in the UK, Ireland and internationally, with numerous photographic credits in a wide variety of books, magazines, calendars and various other media sources through his library and agencies. in Nikon Pro magazine and Nikon UK. He runs workshops in the UK and abroad and has traveled widely in Europe, photographing its flora and fauna with particular attention to its declining wild orchid populations. SACC Qualifying Round of IPF Nature Photographer of the Year now open! 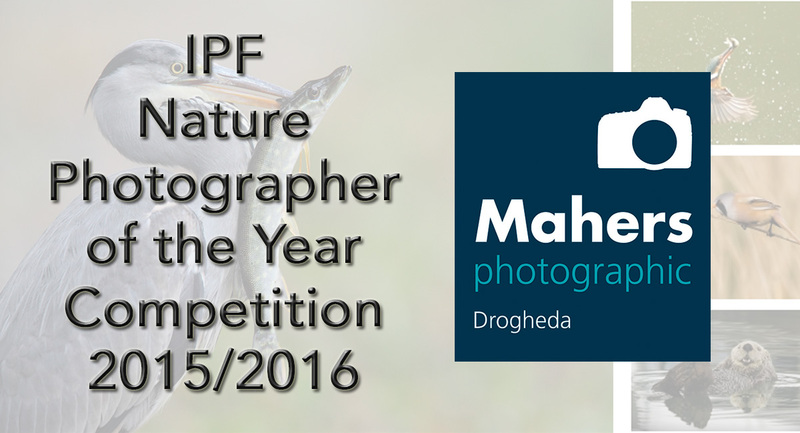 We’re pleased to announce that the SACC regional qualifying round of the IPF Nature Photographer of the Year 2015/2016 in association with Mahers Photographic is now open for entries. Please note that this is the competition formerly known as the IPF National Nature Competition. To read more about this competition, the themes for this year, cost of entry etc please read this article. To enter, you must be a member of an SACC affiliated club. 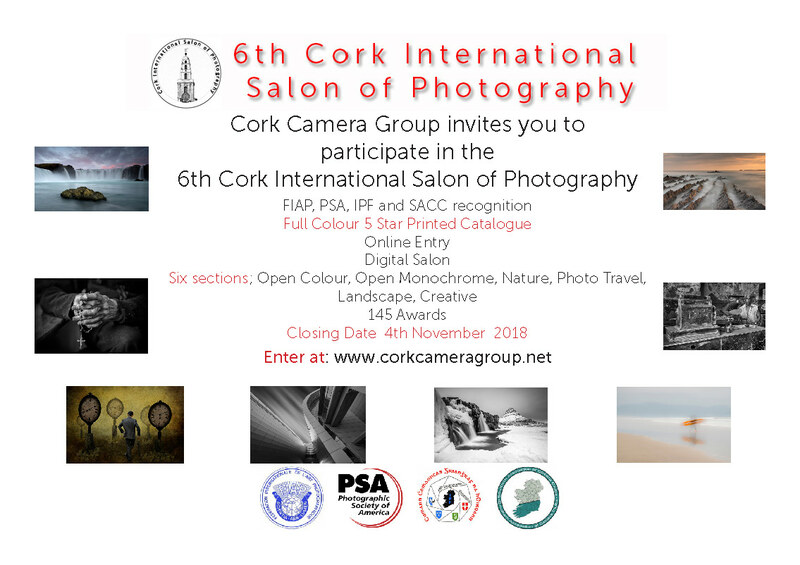 The competition takes place on Sunday January 24th at the Celtic Ross Hotel in Rosscarbery, West Cork and is being hosted by Clonakilty Camera Club. Why not make a weekend of it in a beautiful part of the country? The Celtic Ross have a limited number of rooms left on Saturday night for €45 PPS for bed and breakfast and €65 PPS for dinner, bed and breakfast! First come, first served! Closing date for entries is Friday, January 22nd. For sections under FIAP nature definitions, please ensure you comply! The updated rules for the 2015/2016 are available to view on IPF website. Labels can be downloaded from the IPF website. Prints without these labels will not be accepted. Please print the labels in colour and attach securely to your prints. Entry must be completed online via the online entry system. If you experience any issues with the entry system, please contact the IPF webmaster via their contact page. Please, first check that your system meets the requirements for using this software. 10.00am-11.00am Handover of print entries. Prints for Nature Photographer of the Year must have been pre-registered via online system. Prints that have not been pre-registered will not be accepted. 11.45am Judging starts at 11.45am and will continue in the sequence outlined below. There will be a lunch break at approximately 1pm. Images that do not qualify for national finals can be collected AFTER awards ceremony. Qualifying prints will be retained and forwarded to IPF for National Finals. Congratulations to Bill Power from Cork Camera Group who was the overall winner and recipient of the Seamus Scullane Memorial Trophy for his image ‘Lady in a Gothic Door’ at this year’s SACC Photographer of the Year which is also the Regional Qualifying Round of the IPF Photographer of the Year competition 2015 / 2016. This was formerly know as the Print & Projected Image competition (PPI). This competition is held in association with Canon. Please note that we are unable to show you the winning images as these have gone on to the national final of the IPF Photographer of the Year (PotY) which will take place in new year. The competition was held at the Horse & Jockey Hotel in Co.Tipperary on Sunday Nov 22nd 2015 and was again well attended this year. While the number of photographers who submitted images was the same as last year, the overall number of images had increased by almost 10%. We wish all those who qualified from the SACC region the very best of luck in the IPF finals. We’d like to thank all involved in helping out on the day and particularly our team of judges: Carl Cutland FIPF AFIAP, Judy Boyle FIPF FRPS EFIAP and Tony McDonnell AIPF EFIAP – Platinum who did a great job staying focused while judging hundreds of images. We’d also like to thank all those who entered the competition and those who travelled to the event from the region to lend their support. Regional and national events such as this bring together IPF members who share a common interest in photography and are prepared to support each other in the pursuit of their hobby. However this shared interest has evolved into a community of people that are prepared to support each other in a much broader social context. The common interest in photography is the initial bonding catalyst, however, this evolves into a support structure that goes beyond the sharing of image making ideas; morphing into a community based on mutual respect for each other as individuals and artists. This was abundantly evident on Sunday last when those present showed their delight to see Morgan O’Neill and his family in attendance. Most IPF members will be aware that Morgan has had to battle serious health issues for the past 18 months, so all were delighted to see him at the event on Sunday. Morgan, who was awarded an honourable mention certificate for one of his images, received a standing ovation when he walked forward to accept his prize. It was a very emotional moment and the highlight of the day. Another demonstration of this camaraderie and support was the Get Well Soon message for John Doheny, former secretary of the SACC, which was held up by audience members, and photographed, during the event. John has also been fighting against illness this year and was delighted to get the photo. He hopes to be back among us very soon. We wish both Morgan and John continued recovery and look forward to seeing both fully active in photography very soon. Individual report cards will be sent by the end of the week.